I love the holiday season. If you can look past the Black Friday madness and traffic around malls you’ll find some ordinary people doing extraordinarily charitable things. 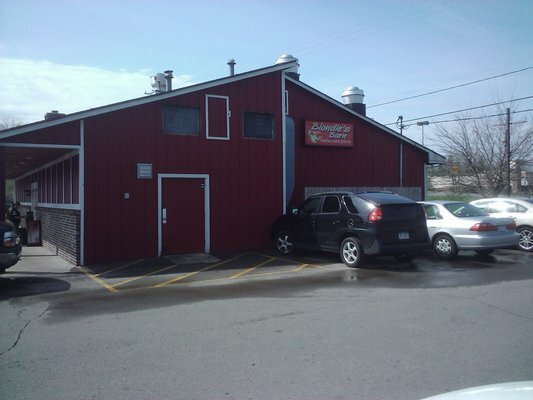 Take Blondie’s Barn in Haslett. My fiancé and I are regulars for breakfast here – I usually indulge in an omelet and a half-order of French toast, she has the specialty pancakes. Already my favorite breakfast spot in the Lansing area, now they’re one of my favorite businesses too. On Thanksgiving this year, Blondie’s is opening its doors for a free Thanksgiving turkey dinner to all who are in need on Thanksgiving from noon to 2. My fiancé teaches second grade in Lansing and some of her children’s families are hitting hard times as we approach the holiday season. We’ve been known to buy some shoes or a coat for her kiddos, but we see them every day. We know them. For our friends at Blondie’s to open their doors to true strangers is the epitome of what it means to give. If you know of any families in need this holiday season, send them a note about Blondie’s on Thanksgiving. It may seem a small thing to those of us who are so fortunate, but a family dinner during the holidays can make memories that last a lifetime.